Austrian footballer who is most recognized for his work with the team RB Leipzig. He began his youth career playing for Admira Villach in 2000. He then entered his senior career playing for Admira Wacker II in 2010. He has received several honors while playing for the Austrian National Team including winning the Austrian Cup in the 2014-2015 season. He was born and raised in Graz, Austria. He is also the son of footballer Herfried Sabitzer. 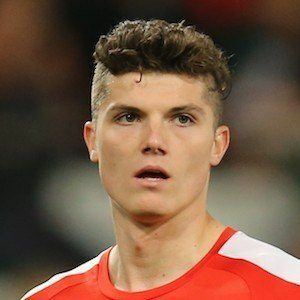 As a member of Austria's National Team, he played alongside Aleksandar Dragovic and Marc Janko.